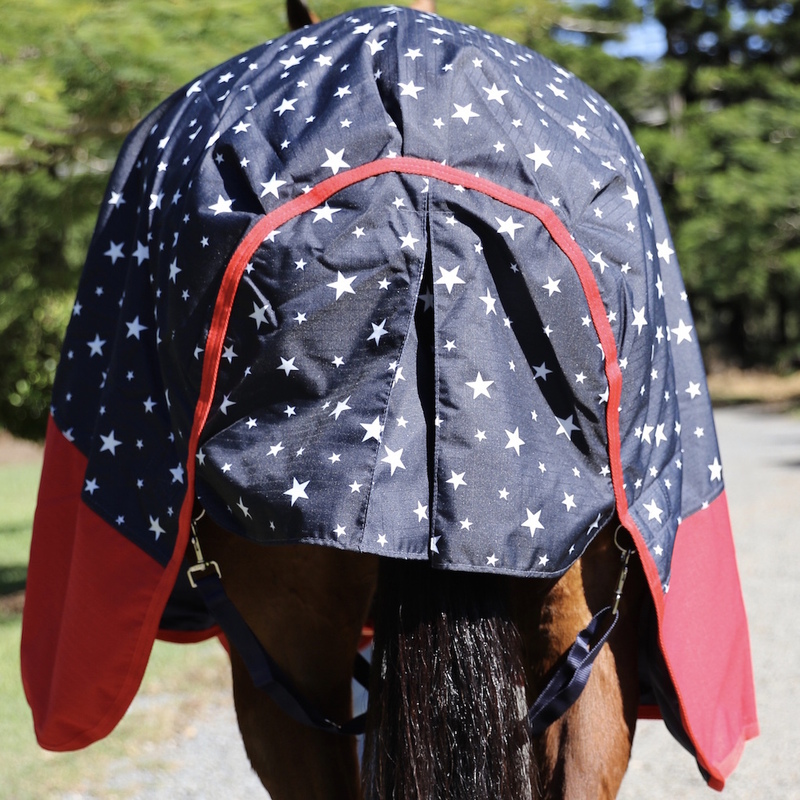 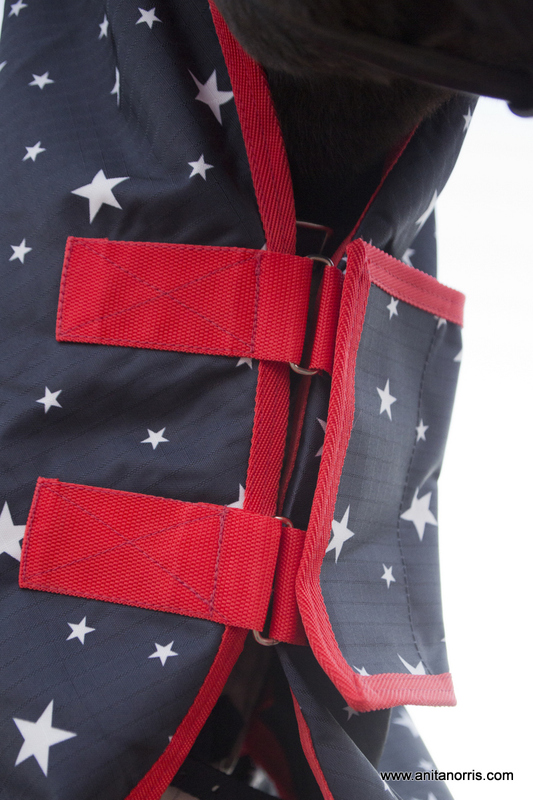 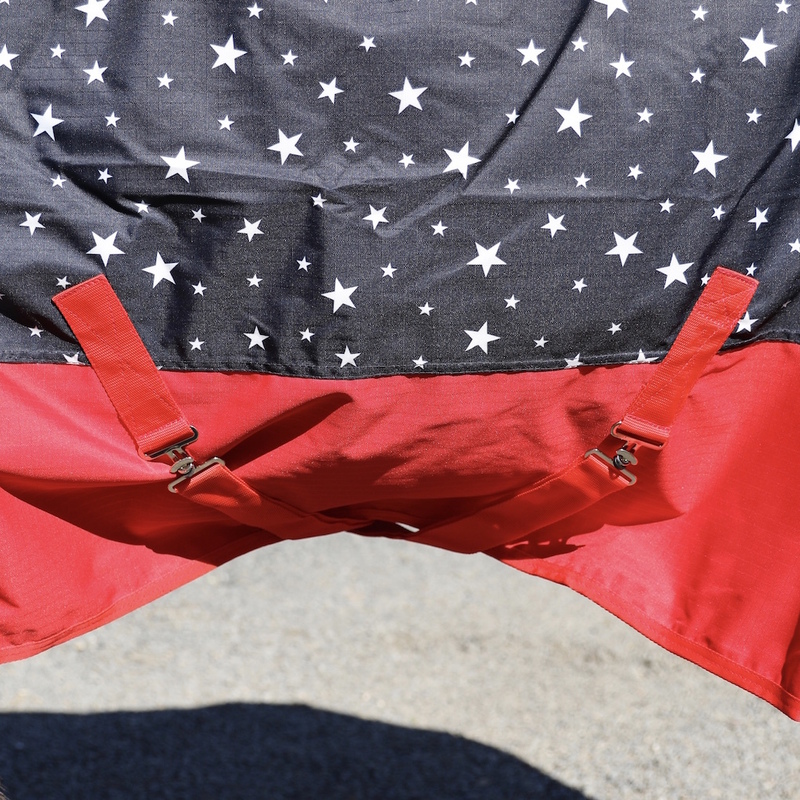 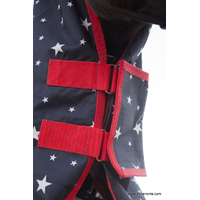 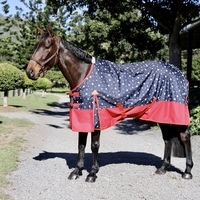 600D Turnout Navy & Red Stars Waterproof Winter Horse Rug Combo – Rainsheet. 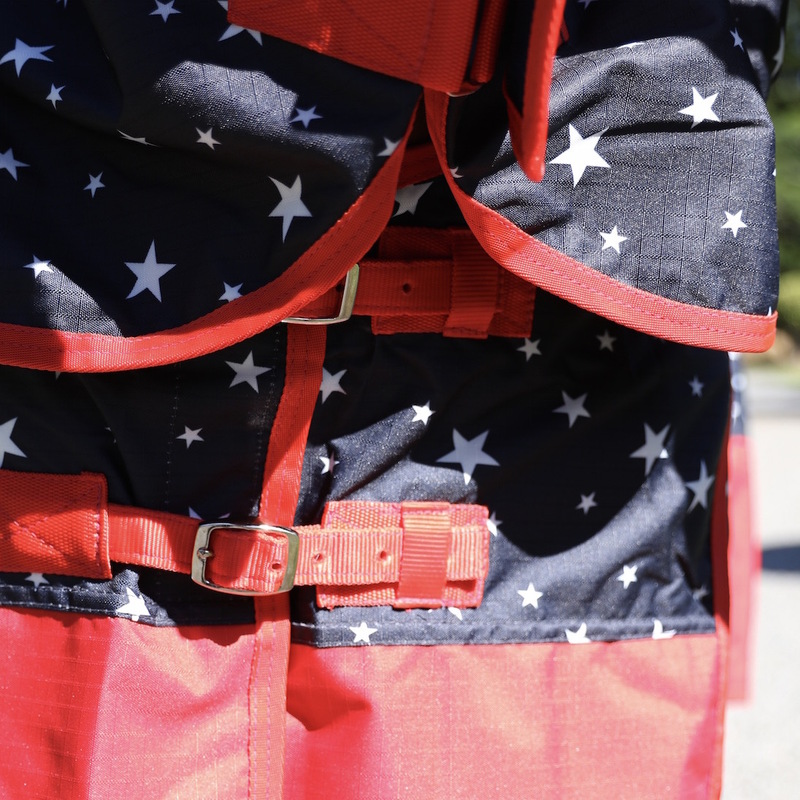 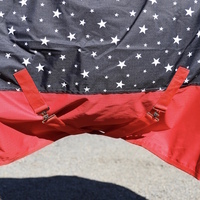 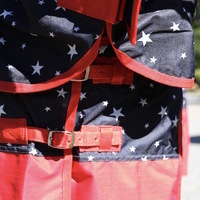 6'9" 6'6" 6'3" 6'0" 5'9" 5'6" 5'3" 5'0" 4'9" 4'6" 4'3"
The Combo is made in a vibrant Navy & Red Stars two tone design, using the highest quality 600D Rip-stop fabric with a waterproofing rating of 3000mm. 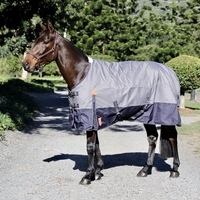 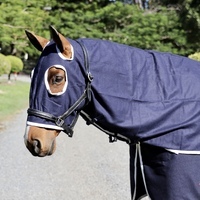 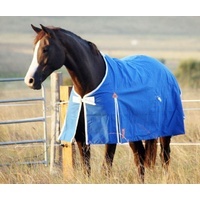 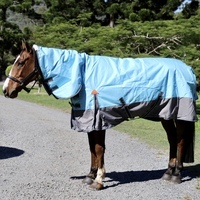 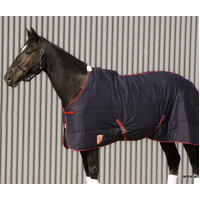 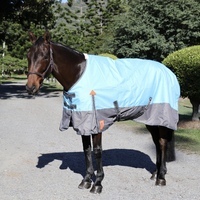 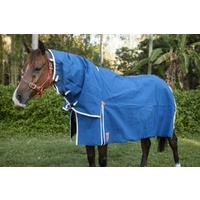 The rug is also lined with a soft water-resistant Nylon lining that prevents rubbing and keeps the horse dry from the inside. 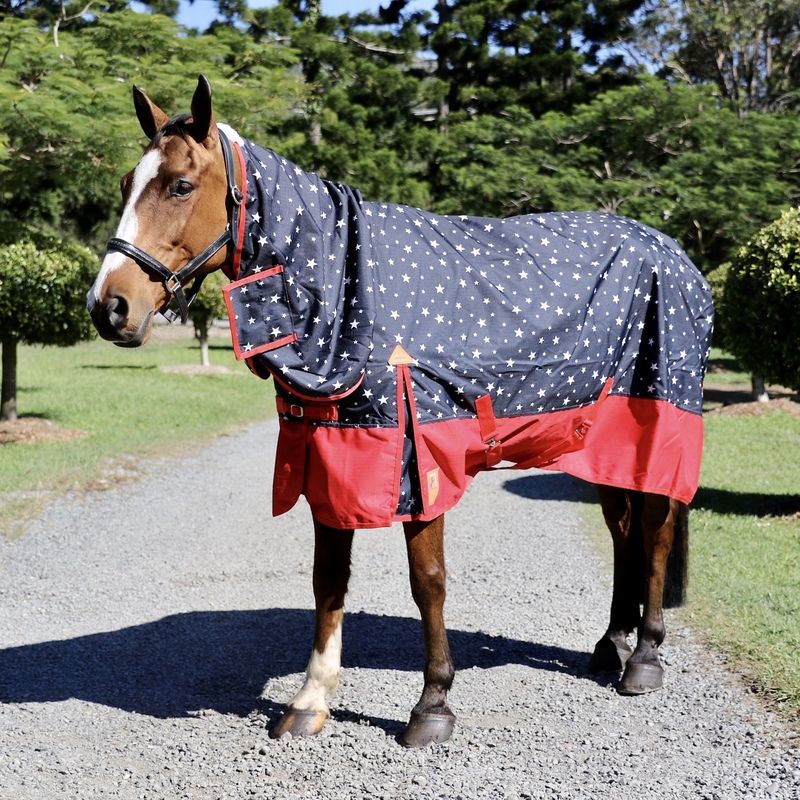 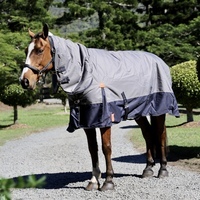 With both fabrics being breathable, this combo not only keeps your horse dry in wet weather but also ensures that no sweat or moisture is trapped inside the rug. 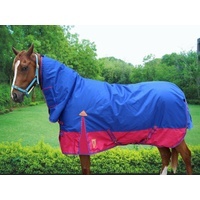 For further protections and waterproofing all seams are heat sealed.